Get EC$5 credit when your balance hit zero and pay it back on your next top up. 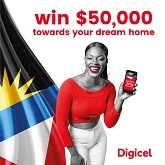 Digicel customer to win big with $50,000 towards the ultimate dream of home ownership. 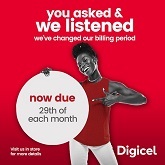 As of May 23rd, 2018 Digicel's billing cycle will now end on the 29th of each month. Disconnections will now happen on the 30th. Each student got outfitted with their very own Jumpstart gear and took their chance at the hoops. 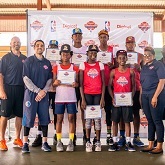 Young basketballers from Antigua & Barbuda and St. Kitts & Nevis to go to Trinidad. Sixty aspiring players from Antigua & Barbuda will have the opportunity to showcase their talents. The Freedom Plans offer up to 25GB of data with its top tier, Freedom Max plan. Simply top up a minimum of EC$20 to enter the daily draw. 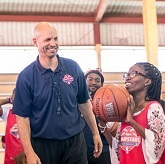 With the start of the 2018 basketball season underway, Digicel has again sealed its commitment to the sport. As part of this role, Dwayne will also have oversight of Digicel’s Montserrat operations. The error has resulted in incorrect charges being posted to accounts. Credits are currently being applied to all accounts. The team, headed by Athena Joseph will play a critical role in delivering after sales support to all Digicel customers on island. 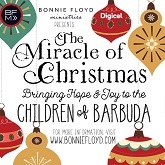 Digicel recently cemented their commitment to Bonnie Floyd Ministries to bring the Miracle of Christmas to the children of Barbuda. Barbudans returning to the island with the aim of rebuilding their lives will have much-needed communication for their return to normalcy. Visitors to the ‘Experience Store’ on Monday, October 16th will enjoy double the credit on all Top Up of EC$20 or more. The total communications and entertainment provider will proudly open the doors on October 4th. 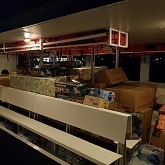 Two large vessels were loaded from St. Lucia, both of which contained food items, first aid & hygiene supplies and more. Digicel would like to advise its valued customers that it is experiencing some network issues due to torrential rain and high winds across Antigua. Re-modelling work will commence from September 18th and the re-fashioned store will reopen on October 9th. Over 25 excited and energetic kids from the Special Olympics Trinidad and Tobago team turned up at the Nelson Mandela Park to train. 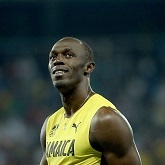 Customers to download, watch & win thanks to Digicel and Usain Bolt. 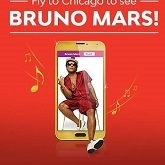 Subscribe to d’Music and stream Bruno Mars’ XXIV playlist or activate a Quick Pick plan for a chance to jet off on a VIP experience. Don't lose what you don't use! Lost data and talk are a thing of the past. 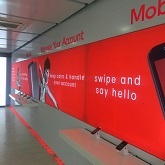 Digicel has introduced its Quick Pick Plans, designed to keep customers always on and always connected to more of the things they love. Digicel Space will be discontinued on November 30th, 2016. Visit the store to find out how you can transfer your files to an alternate free storage. Customers who were unable to access mobile and internet services on Saturday, October 8th during a network outage have been compensated for the inconvenience. In celebration of Antigua & Barbuda’s 35th Independence anniversary, Digicel will award one high school EC$6,000 towards a school development project. Digicel sponsors Empire Football Club for the next season of ABFA Premier League. 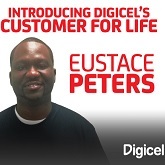 Eustace Peters who has been a Digicel customer for ten years, is Digicel’s first ‘customer for life’ promotion winner. Version (v5.34) for Android smartphones is an interactive and user-friendly tool that allows customers to manage their overall mobile experience. The company won two major awards; The Best Sales Person and Best Project of the Year at the Avaya Partner Engage Week ceremony in Miami. 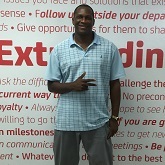 Elwin Roberts, was the winner of an all-expenses paid trip to watch an NBA Finals game in the United States. 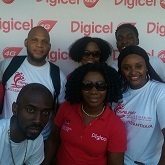 Digicel is one of the main sponsors of the Cool & Smooth T20 cricket tournament where 10 teams will vie for the prizes. 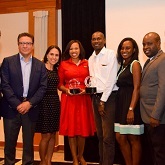 Digicel Business recently won two major awards at the Avaya Partner Engage Week ceremony which just wrapped up in Miami. 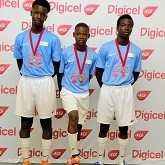 Jahlany Jarvis, Raheem Deterville and Troy Jules were the top three players selected by the Manchester City FC coaches. The updated app version (v5.34), for Android smartphones puts the power in customers’ hands to manage their overall mobile experience. 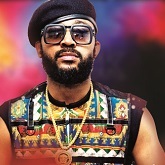 Digicel announced the signing of Trinidadian producer, song writer and soca legend, Machel Montano, in a ground-breaking partnership. 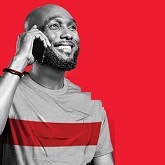 Digicel, in its continued effort to keeping families connected has launched its latest best value promotion called Bills on Us. The region’s leading Business Solutions provider, announced that it has retained its Cisco® Gold Certification in the Caribbean. 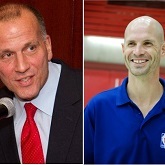 The top eight Caribbean Basketball players were selected to train for the NBA in New York City. Players, coaches and regional football organizations throw their support behind the programme. AppSeeker is a new fully customisable app which makes navigating the world of apps easy. Available as a free download from Google Play. To improve customer experience and help drive broadband access. To represent their country at the Elite Camp in Trinidad and Tobago. 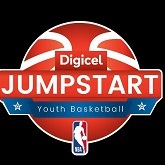 Meet the Digicel NBA jumpstart basketball clinic coaches, Bob MacKinnon and Troy Justice. Customers traveling to the United States, Canada and Digicel Caribbean territories can call, text and send and receive data as if they were in Antigua and Barbuda. To date ten lucky customers have already won the daily cash prize of EC$500. Top up $15 or more, pay your bill on time and in full, or activate a data plan or a new LTE account with Digicel for your chance to win $500. Digicel teams up with Bandsmen United to host Burning Flames Reunion on Friday, 17th July at the Yasco Sports Complex. The national track and field championships are scheduled for June 27th and 28th at the Yasco Sports complex. The company's new online services offer customers a convenient way to pay bills, check balances and top up accounts. This week’s upcoming International Soca Monarch show will see Ricardo Drue, Digicel Brand Ambassador and Antigua and Barbuda’s 2014 Power Soca winner, entertaining crowds at the Hasely Crawford Stadium in Trinidad and Tobago. 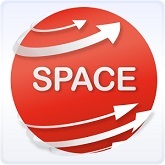 Digicel Space is an innovative cloud storage product that allows customers to backup and share information such as photos, videos, contacts and documents safely and securely. Digicel Antigua and Barbuda today named two of the country’s top DJs, DJ Jime and TJ DA DJ as Brand Ambassadors. Digicel Group has formed a partnership with leading global music streaming provider Rdio to offer Digicel customers access to over 35 million international titles on their smartphones. 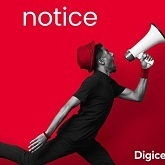 Digicel is offering 1-day, 7-day and 30-day plans all with generous data allowances and free social networking thrown in on some plans. The company introduced the all-new DL800 and DL 900 Android smart phones just in time for the holidays. 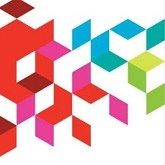 Digicel today welcomed the confirmation by the Caribbean Telecommunications Union (CTU) that it intends to involve itself fully in the proposed acquisition of Columbus International Inc. by Cable and Wireless Communications. The telecomm company believes C&W has overpaid for Columbus by US$1 billion and calls on regulators to give transaction full scrutiny. Digicel is concerned about the obvious challenges and potential issues posed by such a proposed move from a regulatory and competition perspective. 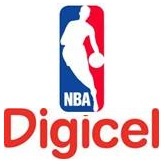 A video shows how the national basketball team uses Digicel data to improve their training. The telecommunications leader acquired majority ownership of International Media Content, Ltd, parent company of the SportsMax channel. The company is lending its support to the Quickfire Graphic Design Competition for youths ages 12 and up. A new app allows Android users access to customer service in their handsets. Digicel has completed its purchase of a submarine fibre network across the Caribbean region. Three students were selected to work and learn at the telecommunications company during a 3-month internship. 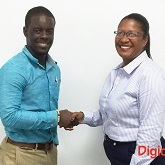 As a major partner with the government in the GATE ICT cadet training programme, Digicel has accepted two recent graduates for internships at the company. DIGICEL CPL WINNERS CALL TRIP TO ST. KITTS "EPIC"
22 winners and companions were flown to St. Kitts to watch the CPL final, with all expenses paid. Either Hunte and Laurisa Francis of Torturer's Gym were the overall winners of the campaign that concluded on July 25. Digicel has today announced a massive promotion that will see the first 1,000 fans to purchase tickets for Thursday’s CPL game getting a second ticket for their friend for free. Digicel announced that Alphonsine Bleau was chosen as the ultimate CPL super fan after an intense audition process. 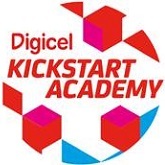 Kwami Kirby, Denny Henry and Ngozie Harvey were selected to travel to Barbados for a week of training at the Digicel Kick Start Academy later this year. Digicel announced that they recently invested US$750,000 for a major expansion of their 4G network in Antigua & Barbuda to handle increased customer demand. Digicel has launched the Fit for Life programme where four fitness camps will compete in weight loss and fitness to win cash prizes. Mackenzie Brown-Kambeitz was named the winner in the recent Digicel competition related to The Voice winner Tessanne Chin's visit to Antigua for the Nautical Music Festival. was a great success on 1 March, with 31 young cricketers working out with West Indian team members Darren Sammy, Darren Bravo, Kieran Powell, Nikita Miller and Jason Holder. The company's mobile advertising platform helped the West Indies Cricket Board successfully promote ticket sales for the WI vs. England ODIs held in Antigua from 28 February to 5 March, 2014.
with a new video highlighting the Extraordinary in Antigua & Barbuda through its people dancing to "Happy"
Digicel and the Government of Antigua and Barbuda have announced a ground-breaking collaboration with the implementation of a National CCTV Project, providing a turnkey wireless security solution for the city of St. John’s. Digicel, Janice Sutherland, ran the New York Marathon for children at The Care Project. 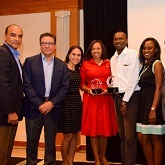 Digicel Business is the winner of the coveted Avaya Partner of the Year award. A TRIP OF LIFETIME – NORDEL EDGECOME OFF TO THE UK! The emotional reaction of a well-deserved win by Dawn Warner, set off a chain reaction of emotion from those who witnessed her walk away with $10,000. 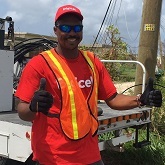 Digicel today announced that it has reached an agreement with the Guadeloupe-based Loret Group and with Caribbean Fibre Holdings to acquire a submarine fibre network across the Caribbean region. Clive James of Barbuda wins Digicel's third $10,000 cash prize. Digicel "Brighten someone's Christmas" campaign awards its second $10,000 prize. 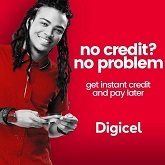 Now you can pay your Digicel bills using Bill Express. 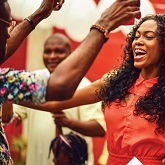 Digicel unveils brighten someone's Christmas Campaign. Antiguans & Barbudans among 39 top young footballers completed Digicel Academy. Digicel will introduce new roaming rates effective October 1st for all Digicel customers which will give them savings of up to 80% in some cases, when they travel to the Caribbean or USA. These new rates will allow them to browse, call or send text messages when abroad as if they were home. Enjoy internet on the go with prepaid 4G LTE from Digicel! Digicel enables customers to top up their pre-paid accounts without ever leaving Facebook. 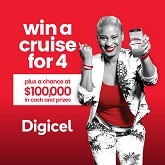 Fill out a survey to help Digicel serve you better, you could win EC$100 free credit. Just four months after the successful launch of the Caribbean’s first 4G LTE home internet network,Digicel announced plans for a major expansion of its network. 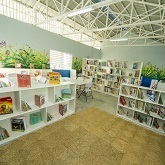 Take a look at the newly renovated Male Ward at Clarevue. A new set of Digicel's Christmas Lottery Winners have been announced. Congratulations to all the winners! The West Indies Cricket Board and Digicel will collaborate to host a series of action-packed Grassroots Cricket Fun Day across the region this weekend. Digicel proudly announces thousands of LTE TABLETS are on their way to students across Antigua and Barbuda. WIN your share of $250,000 in Digicel's Christmas Lottery. Digicel's 4G LTE TV commercial hits the Internet. 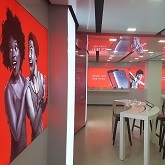 In anticipation of the upcoming launch of Digicel’s 4G LTE home internet, the telecommunications company is giving its stores an exciting upgrade which promises customers an even better experience. Enjoy international calls from 12pm to 6pm for just half the price. Digicel today proudly announced that Antiguan and Barbudan hitmaker, Ricardo Drue, has been selected as its newest Brand Ambassador. Antigua, in partnership with Digicel, has received the top prize for a multi-million dollar, revolutionary ICT project, the Government Assisted Technology Endeavour (GATE). Convalescence Male Ward at Clarevue Psychiatric Hospital will soon be enjoying new amenities. 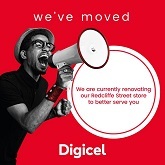 People have been clamoring for liberalization and today Digicel is taking the first step towards delivering on their expectations while assuring customers that it has lots more in store for them. Digicel in collaboration with The Ministry of Information, Broadcasting, Telecommunications, Science and Technology launched the Government Assisted Technology Endeavour (G.A.T.E) project on June 14th 2012 at the Multipurpose Centre in Perry Bay. Digicel in collaboration with the Government of Antigua and Barbuda presented a check for EC $50 000 to the Antigua and Barbuda Athletic Association (ABAA) in support of local athletes participating in the 2012 CARIFTA games being held in Bermuda over the Easter weekend. Check out the behind the scenes video from Digicel's shoot with Usain Bolt!! 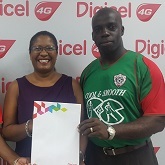 Digicel will be rolling out exciting cricket promotions and competitions throughout the region during the Series, which will rally fans around the game; fuel their passion for, and pride in cricket; and demonstrate how important the fans are to the sport and to Digicel. 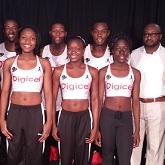 DIGICEL INVITES CUSTOMERS TO JOIN USAIN BOLT IN "THE RUN TO LONDON"
The National Sailing Academy Youth Team competed in the Jolly Harbour Valentine’s Cup Regatta and were triumphant with their first win as a team. The Team sponsored by Digicel participated in six races over the weekend placing three 1st, two 2nd and one 3rd. The vouchers were presented to the winners today at the Epicurean Fine Foods & Pharmacy by general manager Richard Buoni. Four more episodes (12 winners) left in the life of the supermarket promotion and the final episode will see the total cash value double to $20,000. Antigua and Barbuda’s bigger, better network has revisited the winners of its Christmas Cash Grab promotion in which customers won part of $250,000 in cash and prizes. 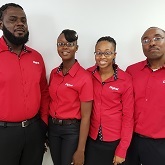 As part of ongoing plans to improve the customer service experience for bill payers, Digicel announced an expansion in the number of locations customers can now pay their postpaid accounts. EC$70,000 worth of Groceries up for Grabs! Travis “Tha Shya” Philip is undoubtedly one of Antigua & Barbudas rising stars, and that star is rising fast. Rosetta Samuel of Villa area won a whopping EC$52,000 in the grand finale of Digicel’s Cash or More cash TV Game Show last night at Digicel’s Christmas Jam session concert in front of Joe Mike’s Hotel. St Johns Pentecostal Church Senior Choir emerged the triumphant winners of the Digicel Christmas Carol Choir Competition at the grand finale concert hosted by Maurice Merchant and recorded at the Precision Centre. Christmas came early for the 105 children and staff at the Adele School, when the Team at Digicel hosted a Christmas party complete with Santa Claus and gifts. As part of their recent Christmas launch, Digicel held a Celebrity Cash Grab with the proceeds being donated to the Adele School. Javier Piper, Daniel Spronk and Kyii Ireland are the three boys who made the final cut to travel to the Kick Start Academy in Trinidad with Sunderland coaches and football legend John Barnes. Kelvin “Mongoose” Russell is a true Visual Artist at the cutting edge of new Trends in Antigua & Barbuda. 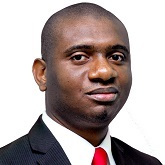 A very determined young man; there is an energy and drive present that is unmistakable. Digicel's Spell & Win promotion has gained significant traction as hundreds of customers, have collected the letters that spell SOUL to win a brand new Kia Soul car, by topping up $20. 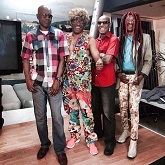 DJ Chickie, quite simply, is an Antiguan & Barbuda legend. A master of the decks, Chickie has quite rightly earned his place among the stars of Antigua & Barbuda. Who is Laden Kenneth Blackburn Bouconon Ewellyn Benjamin? You may better know him as the iconic cricket figure “Gravy”. Mention of the name Tizzy generally evokes certain thoughts. First and foremost, El-A-Kru (translation Little Antigua Crew) of which she’s lead singer and star. LOOK WHO JUST WON A CHANCE TO WIN A KIA SOUL CAR! Congratulations to our weekly finalists - Barrymore Daley & Janel Prince. Kingston, Jamaica: With just three days to go to the first match in the much anticipated Digicel Series 2011, www.digicelcricket.com caught up with West Indies team manager, Richie Richardson, who spoke exclusively about his thoughts on West Indies cricket through the ages; the current team and the future of West Indies cricket. Digicel Antigua and Barbuda today donated EC$5,500 to Breast Friends, a non-profit Breast Cancer Awareness and support organisation. GUESS WHO WON A BLACKBERRY TORCH 9800 SMARTPHONE? All Saints resident Condace Samuel drove away in a brand new Kia Soul car after claiming the prize in Digicel’s Heart & Soul promotion draw at Sugar Ridge Hotel in St. John’s. Whenner road resident, Cheddi Brooks, drove away in the Kia Soul car given away on Christmas eve in Digicel MY FIVE CHRISTMAS WISHES promotion. Nicole Browne is the third weekly prize winner in Digicel’s “My Five Christmas Wishes” campaign. Awarded to groups or companies who have made a significant contributions to the economic, social growth and development of Jamaica. With only two Groups left before the finals of this year’s Digicel Caribbean Cup kick off in Martinique, football fever is sweeping through Antigua and Barbuda as the Group G hosts prepare to take on Cuba, Dominica and Suriname at the Antigua Recreation Ground in two weeks time. Digicel, in partnership with the Government of Antigua and Barbuda, announced details of a new initiative which will deliver world class Broadband Internet service for free to communities and schools across the twin-island Nation at a Gala Launch at the Multipurpose Cultural & Exhibition Centre, Perry Bay, St. Johns, Antigua. The event, with over 300 attendees, was broadcast live on ABS TV and covered by local media. 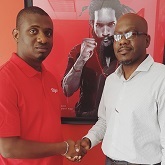 Digicel and EL A KRU featuring Tizzy have signed a sponsorship deal that will see Antigua & Barbuda’s Premiere Soca Band join forces with Antigua & Barbuda’s only EDGE network to deliver a number of marketing campaigns & initiatives over the next 18 months. 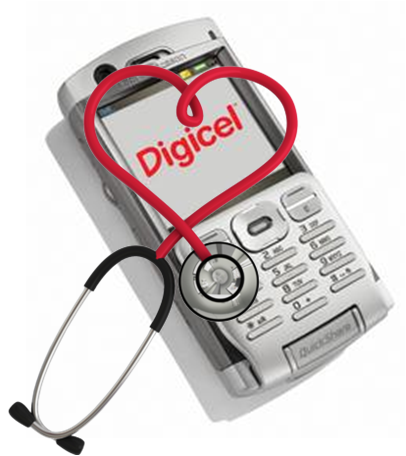 Digicel's aim is to ensure that customers can benefit from best value mobile services. After the media has retracted from Haiti, the thoughts of the well being of Haitians are still fresh in the minds of Antiguans and Barbudans. Digicel, Antigua and Barbuda’s Bigger, Better network, has announced its proud sponsorship of the Antigua and Barbuda Association of Persons with Disabilities. Digicel today announced that it has renewed its support of the Haiti Football Federation in a multimillion dollar deal over the next four years. Digicel launched the Digicel Caribbean Cup New York, in association with Caribbean Cup Inc.